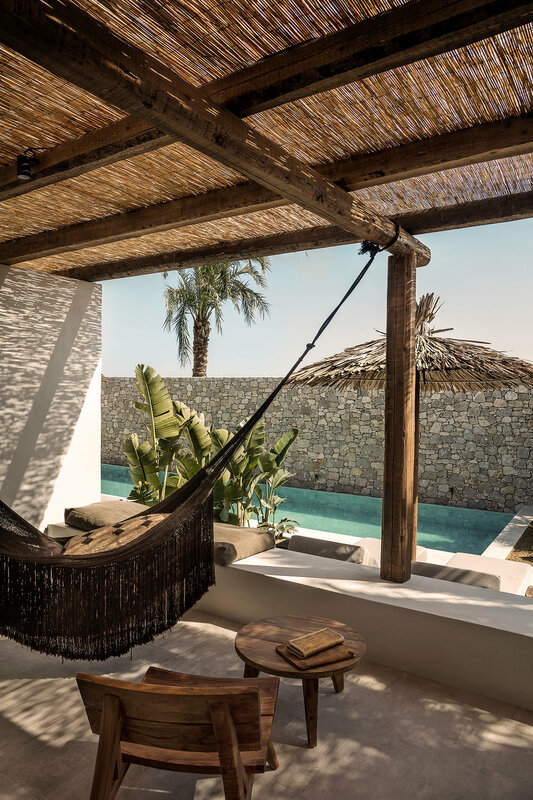 Casa Cook Kos is the second of Thomas Cook's beautiful lifestyle hotels to open in July 2017. Designed to be organic, simple and with a bohemian flair, the hotel offers a laid-back luxury style stay. The gorgeous hotel inspires you to live a more simple life, where slow living, mindfulness and minimalism are the keys to genuine happiness. The 100 room hotel lies in a wide beachfront valley. On the horizon, Kos, Kalymnos & Paerimos' mountains. The building was designed with warm grey exteriors to blend in with nature's hues. Inside, soft natural earth tones are accented by black contours. 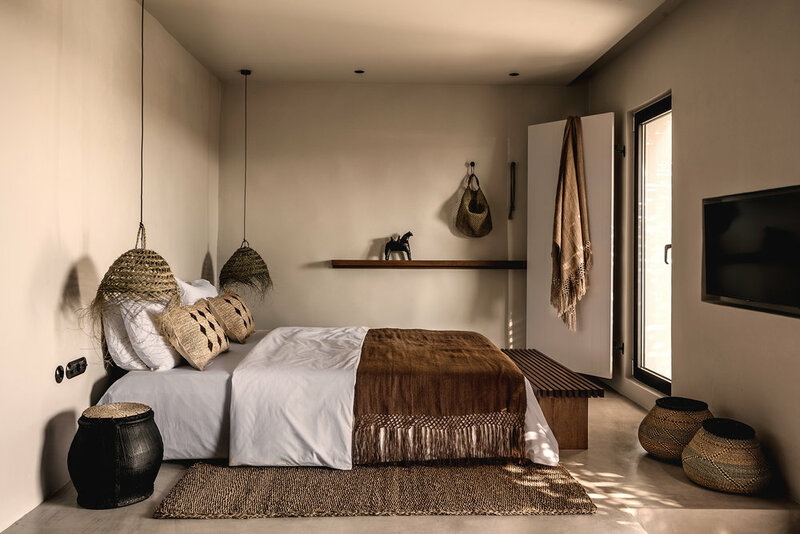 The decor is minimalist, organic, natural, using the finest materials such as linen, wood, and concrete. Each of the five room types is designed as a private sanctuary. Every room counts with a private veranda or terrace & rain showers. If you choose to stay at the Junior suites, you can also enjoy a garden and semi-private pool. Inspired by the Greek word "paréa", which means a get-together with friends, Casa Cook offers social areas that foster a sense of community, sharing, and meeting new people. To hang out, the hotel has its own Beach Club, composed of the restaurant, bar and pool, where clean- lined furniture mixes with exotic accessories to boost the laid-back vibe, and natural tones contrast with the stunning turquoise coloured pool. The hotel also offers a Store with Juice Bar, fitness studio, yoga terrace & a spa with pool sauna, hammam and the best massages & beauty treatments. Where? Marmari, 85300 Kos, Greece. Approximately 13 km form the airport and 16km to historic Kos town. Price: Starting 116€ per night including breakfast, depending on the booking period. You can make your reservations here.